This meal takes maybe 10-15 minutes of your attention and work, making it a great weeknight choice! Pour about half the jar of spaghetti sauce and garlic into a glass baking dish. Arrange still-frozen ravioli on top of the sauce in one layer. Add about half the remaining half of sauce on top (repeat with garlic). Make another layer of ravioli then cover with the rest of the sauce and garlic. Arrange a layer of mozzarella on top of that and then Parmesan to finish it off. Bake for about 45 minutes. Let cool a few minutes before serving–the cheese will be piping hot! 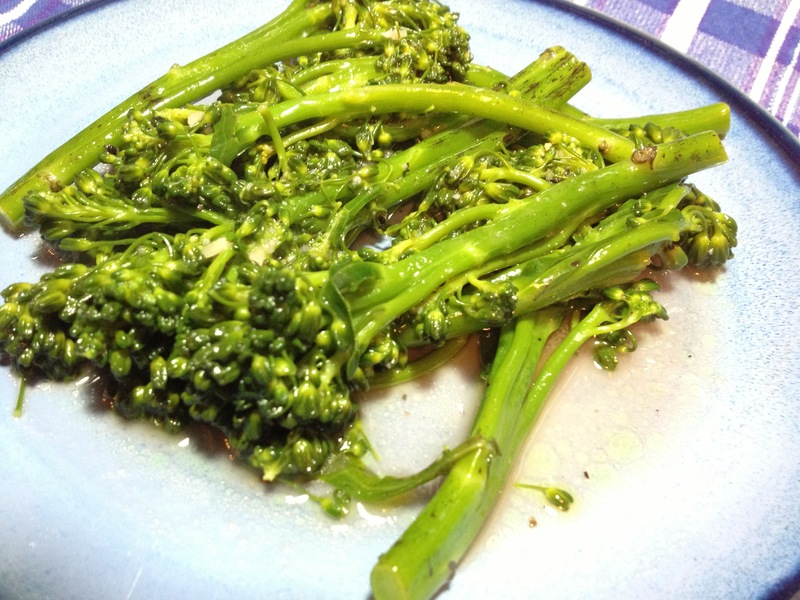 Steam broccolini for about 5 minutes. While that’s going, whisk together remaining ingredients in a small serving bowl. Use tongs to transfer steamed veggies to bowl and toss to coat. 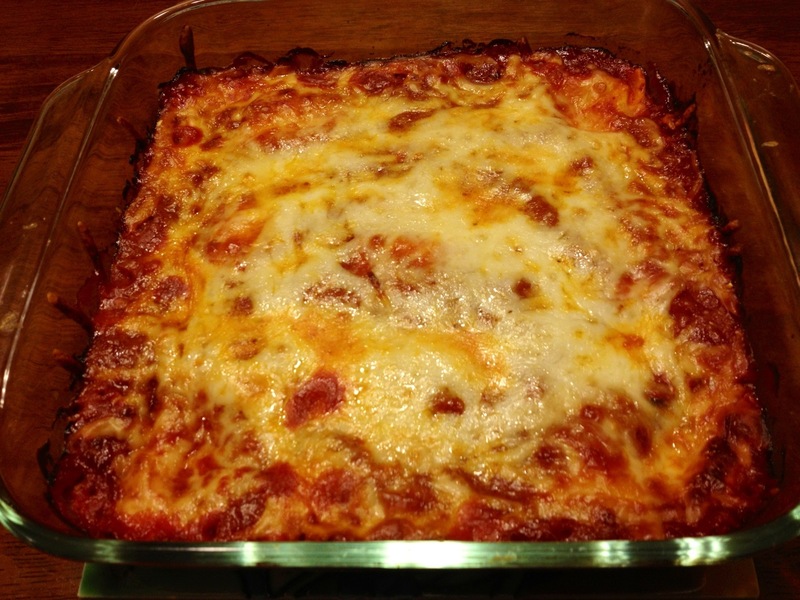 You should make Lazy Lasagna again now that the rains have returned. Or I guess I could.